Third in the line-up was the versatile Tina Sani, the doyenne of contemporary ghazal singing. 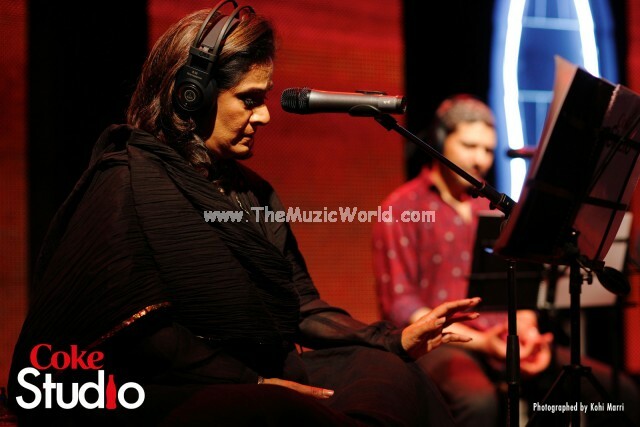 With Coke Studio 2010, Sani returns to a recording studio after a 16-year-long hiatus and is joined in ‘Mori Araj Suno’ by Arieb Azhar, who has etched his mark in poetry recitation this season. To download the song MORI ARAJ SUNO by TINA SANI & ARIEB AZHAR (COKE STUDIO 3) , click on the links given below. To listen the song, click on the blue PLAY button. What your man has suffered in this world? If you don’t look out for me God!